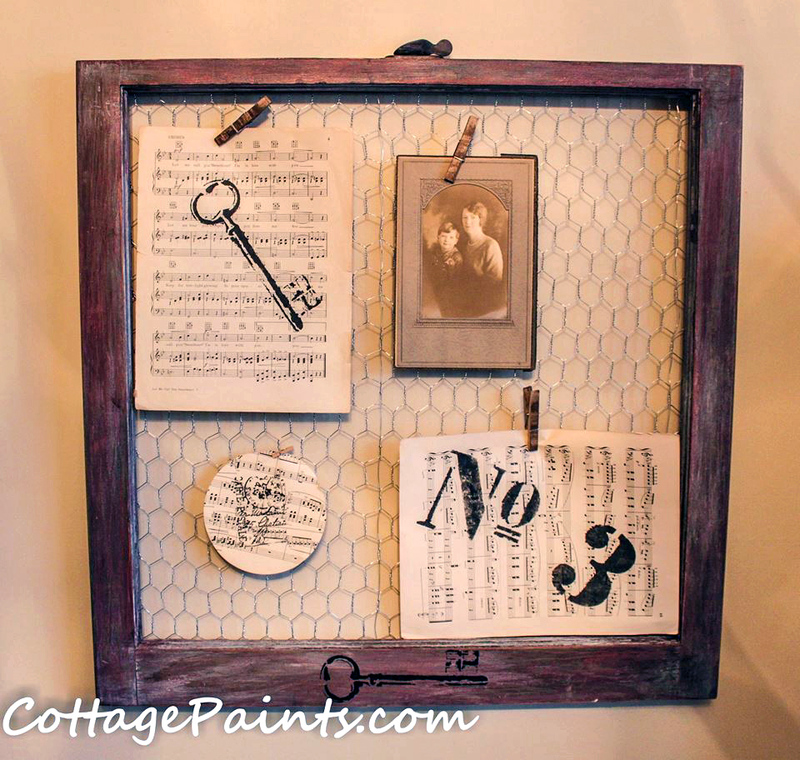 Cute chicken wire window by Mary of Cottage Paints! Mary used Tuscan Red Milk Paint, then distressed and glazed with Winter White Glaze on top. Says Mary, "Best glazes in THE USA!!! WHOOOOOOO. I just bought the Wood Stains! Just you wait to see what I do with them!!" We definitely can't wait to see! Thanks for sharing.